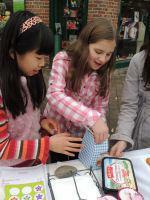 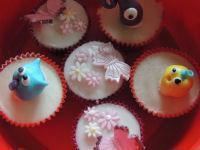 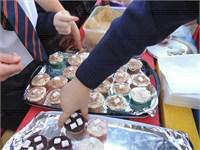 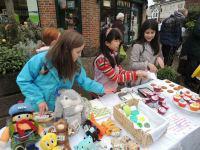 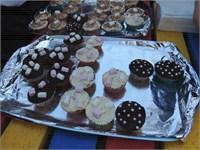 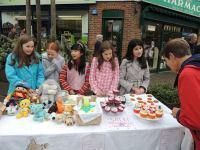 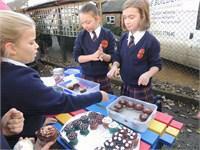 Year 6 girls raise money for 'Project India' to buy tables and chairs for classrooms by selling cakes and toys on Saturday (10th November) morning in Chalfont St Peter. 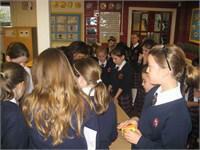 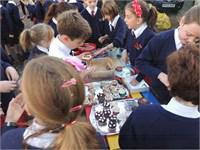 Mini enterprises continue as children come up organise cake and table top sales to raise funds for the Holy Cross School in Nandyal, India. 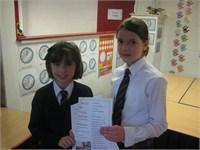 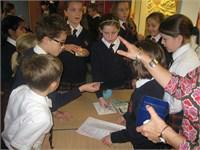 We are making excellent progress towards our target of £2000 to provide tables and chairs for the classrooms. 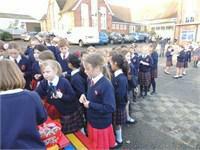 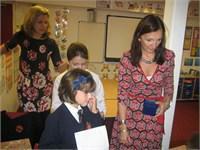 Thank you to children and parents for your wonderful enthusiasm and support.